Buhari backs El-Rufai in planned sack of 21,780 Kaduna teachers – Royal Times of Nigeria. 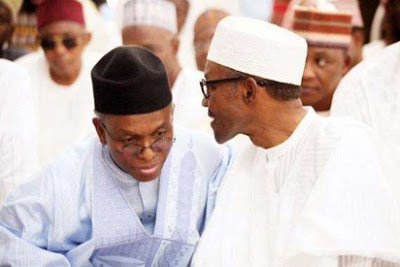 President Muhammadu Buhari, Monday, backed the Kaduna state Governor, Nasir El-rufai over the latter’s plan to sack over 21,780 teachers who recently failed the competency test conducted by the state government. Buhari made the backing while speaking at the State House in Abuja during a special retreat of the Federal Executive Council (FEC) on the challenges facing the Education sector in Nigeria themed: “Education in Nigeria: Challenges and Prospects”. According to Buhari, the future of the Nigerian students would be at stake if teachers fail the very examinations which they are supposed to set for the students. “Being an orphan, I still feel that boarding school moulded me. “I spent nine year in boarding school, three in primary school and six in secondary school’. “And then I listened to one of the Nigerians I respect, he said after his training here in Nigeria and the United States, he went to his alma mater, his primary school to see what he could contribute. I won’t mention his name but when he went, he couldn’t differentiate between the students, the children and the teachers.